Poached pears in red wine with vanilla mascarpone - home cooked food delivered. 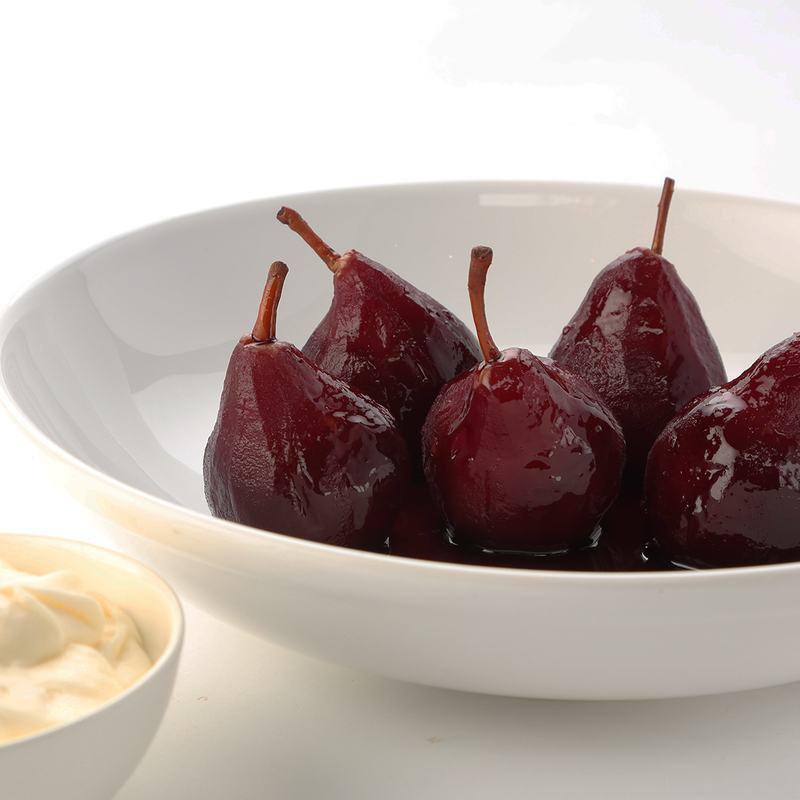 An effortlessly classy dessert, these poached pears in red wine are as fabulous to look at as they are to eat. Sweet, shiny, succulent morsels of ruby loveliness that will delight your palate, especially when smothered with lashings of our very own vanilla mascarpone. Pears, mascarpone (MILK), vanilla pod, red wine, cinnamon stick, caster sugar.